BOLDFest Celebrates its 15th Year! Casting the Circle: Creating Space for older lesbians' issues, connections, celebrations! Join us on October 10 - 13, 2019! Meet up with lesbians & dykes from across Canada, the US and internationally, celebrating our Lesbian Lives and Culture! At the beautiful Coast Coal Harbour Hotel, 1180 W. Hastings St, Vancouver B.C. BOLDFest 2019 is on its way!! Join us for a weekend guaranteed to make your lesbian heart glad you're there! The wheels are turning to put on a Reunion of BOLD, OLD(er) Lesbians & Dykes and younger friends, lovers, partners. We're raising the roof at the Coast Hotel! Friday eve October 11: Appetizers, cash bar, women, QUEER AS FUNK DANCE BAND, followed by DJ Slade! Saturday eve Oct 12: Appetizers, cash bar, women, SAWAGI TAIKO WOMEN DRUMMERS!, followed by DJ and dancing! 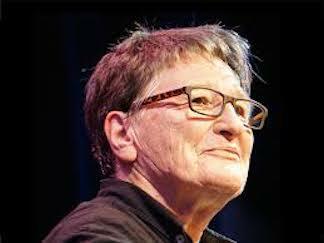 Sunday eve Oct 13: Social Hour, cash bar, Buffet Dinner, followed by FERRON, Vancouver-born Singer/Songwriter/Lesbian Legend! We're so, so happy to have Ferron with us! Monday Oct 14: Special Thanksgiving mid-afternoon dinner & celebration. (Note: this will be a special "extra activity/extra cost" event; it is not included in BOLDFest fee). Out-of-towners: plan to stay at least an extra day, or more. Online registration IS NOW UP! Click on Registration Page here. If paying by PayPal PLEASE also fill out the application and email to info@boldfest. It's a time-saver for us! You can also pay by cheque/check. See application for more info. Reserve your room at the Coast Coal Harbour Hotel soon. Reservations have begun and our block of rooms tend to fill up by early summer. Want to share a room/cut down on costs? Email a request to info@boldfest.com to be put in touch with others looking for roommates. Lots of Love from TEAM BOLD! It’s an early June day (2017) in Vancouver. 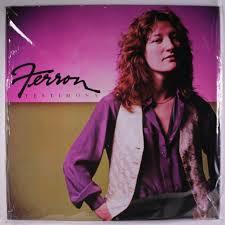 Singer-songwriter Ferron — a queer, feminist folk icon to some, utterly unknown to most — has just made the journey to CBC’s downtown office from her part-time home on Saturna, a small island off the B.C. coast. In six weeks, she’ll make her proper return to the Vancouver Folk Music Festival, July 15-17, for the first time since her debut in 1979. In her 40-plus years as a singer-songwriter, she’s influenced everybody from Ani DiFranco to the Indigo Girls, and started her own record label in the late 1970s. She broke out in the States, too, a leader in the intersections of her various communities — songwriter/lesbian/working- class/women — who flirted with major-label success but was always, ultimately, a DIY indie queen. Team BOLD says "See you in October 2019! Get your BOLDFest T!! Be the 1st on the block! BOLD is a non-profit society registered in the Province of British Columbia Canada. 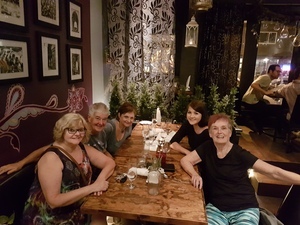 Its mission is to raise the visibility of older lesbians, and to provide a venue to meet lesbians and to share information and opportunities for learning, networking, and organizing. 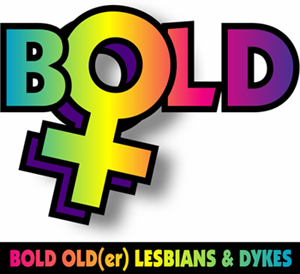 As importantly, BOLDFest creates a safe place for lesbians to form life-long friendships, and relationships. For the last twelve years, BOLDFest - the Bold Old(er) Lesbians & Dykes Conference and Gathering - has attracted lesbians aged 40 up to 90's - and much younger women - from across Canada, the US and Australia! We have been convening at the Coast Plaza Hotel for 13 years. 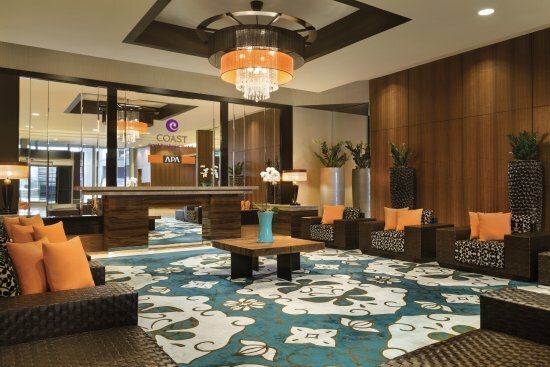 In 2018 we move to a sister hotel in Vancouver the luxurious Coast Coal Harbour Hotel!. 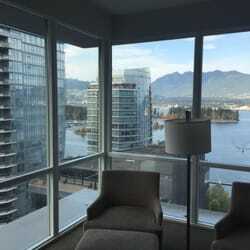 This hotel is a gay-friendly and dog-friendly hotel one block from Coal Harbour with views of water and mountains and 3 blocks from Canada Place. You'll love it!